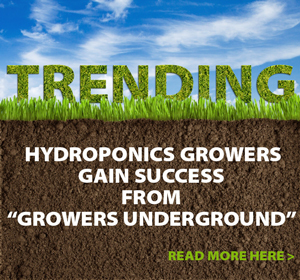 Hydro 101 with Deonna Marie: New Pest & Disease Remedies - Rosebud Magazine Hydroponics Lifestyle Growing And Entertainment! Rhino Skin strengthens your plants to help protect them from pests and disease. Aphids, spider mites, powdery mildew - we all know what it's like to put in a ton of love, care, and hard work into our gardens, and then… Bam!! Those sneaky little pests show up and turn our gardens upside down. 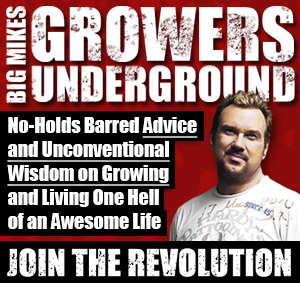 This can be especially daunting for new growers, but I’m here to set your fears aside. In this installment of Hydro 101 we’re going to look into some of the newest pest and disease remedies, and I’ll let you know which of these products works the best. One of the most important steps in pest control, which I cannot stress enough, is preventative care. If you start taking care of your plants before any signs of pests or disease arrive, you stand a better chance of fighting off the bad guys if they arrive or, even better, keeping pest or disease problems from arising at all. By providing your plants with silica, Rhino Skin increases the rigidity of the plants’ cell walls, making your plants’ stalks more rigid. One of the newest and most groundbreaking nutrients available is Rhino Skin. It's like putting a coat of armor on your plants, except that this armor protects your plants from the inside out. By providing your plants with silica, Rhino Skin increases the rigidity of the plants’ cell walls, making your plants’ stalks more rigid. When the plants take in the silica, it toughens their cell walls in general, making it tougher for pests or disease to break through. 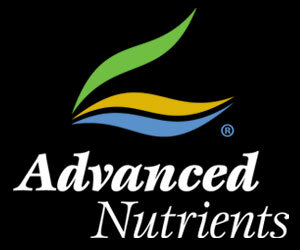 There are also natural remedies that will be effective in the battle against pests and disease. Ladybugs offer great benefits to your indoor or outdoor garden as a method of pest control. That’s because ladybugs love to snack on aphids, which are one of a gardener's biggest headaches. Once aphids populate and take over a plant, they can be difficult to get rid of without using toxic pesticides. If left unchecked, eventually the aphids will destroy the plant. Keeping a sturdy team of ladybugs on hand will go a long way to preventing an aphid infestation. One of the easiest, most popular natural ways to help treat and protect your plants from pest and disease is the use of neem oil. Insects do not become resistant to neem oil, whereas gegular synthetic insecticides gradually create resistance in insects, so growers end up needing to spray chemicals over and over, attacking their plants with harsh pesticides to keep the creepy crawlers at bay. When you use neem oil you don't have that problem. For me, all natural is always the best choice.